Get your copy of the best and most unique Indian recipes from BookSumo Press! In this book we focus on Indian food. 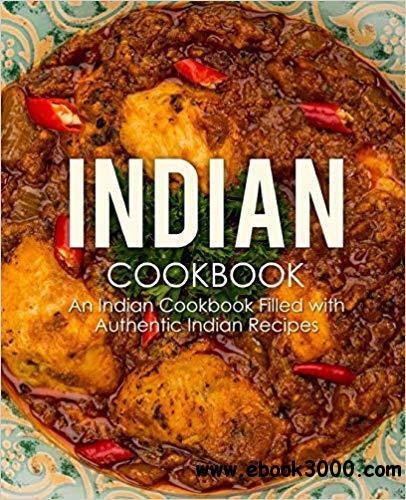 The Indian Cookbook is a complete set of simple but very unique Indian recipes. You will find that even though the recipes are simple, the tastes are quite amazing. Here is a Preview of the Indian Recipes You Will Learn:Mumbai PilafCouscous CurriedEggplant GujaratiRaj's ChapatiKerala Tofu CurryKerala Seafood CurryTraditional Flat Bread (Naan)Indian Potato and Peas PotSimple Curried PotatoesPot Roast GwaliorMaharashtra BroccoliAnika's Dhal Makhani (Lentil Curry)Simple Coconut CurryHow to Make ChickpeasIndian Rice Krispy'sKerala Lunch Box (Raisin Salad)Punjabi Greens CurrySouth Indian Veggie SaladNorth Indian Onion DipCashew PilafCurried Eggs for BreakfastMuch, much more! Powered by TT | Page Generated In 0.138236 secs.